The Battersea Borough Council meeting of 7 June started by acknowledging the death of Lord Kitchener, and expressed their sorrow at his loss by all standing as a mark of respect. The meeting then moved on to discuss the Council and Military Service, and how to deal with potential exemptions from military service. Three clerks of military age in the Council had received complete exemption from military service, on account of being indispensable. 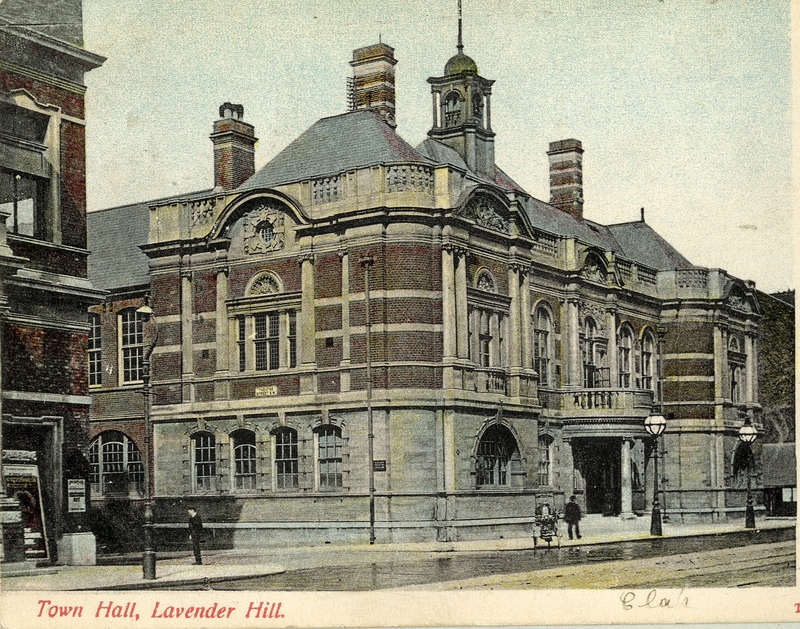 Overall there were 28 officers and clerks of military age working at the municipal buildings (Battersea Town Hall), 17 of whom were permanent and had occupation based exemption. Three temporary clerks were medically unfit to service, and one had actually been discharged as medically unfit. There were 5 who were not yet called up – either due to only just being 18 or to being in later groups under the Derby scheme. It was argued that there was a great deal of extra work in the Council due to pressures from government and that there was no doubt that all the men who had obtained exemptions could not be spared. Eight of the permanent staff in the borough accountant’s office had joined the army, and six from the Town Clerk’s department, with six exemptions granted across both offices. Exemption certificates had been obtained directly from the recruiting officer, rather than going before a tribunal – a fact which caused some controversy as the Councillors (9 of whom also made up the tribunal members) felt that exemption was a personal matter which should be dealt with by each man individually and they did not wish the employees of the Council to receive special privilege. The Council had already decided that employees who wished to serve should gain the permission of the Council to do so, and at this meeting they granted that permission to E T Taylor, a temporary clerk in the Town Clerk’s office, and W Worrell, a sewer flusher. Presumably the loss of the clerk made it even more important that they were able to keep the remaining staff in order to carry out the work of the Council. The Tribunals this week, as reported in the South Western Star, appear to have been granting more exemptions than usual – although the corresponding minutes show that this was not the case and the majority of cases were disallowed. W J Baldwin of Rollo Street was a widower with one child, who claimed he would have to sell his home to ensure they were looked after – and that he objected to vaccination. The Tribunal said that his child would be cared for by the country if he went and disallowed his claim, the Star headlined this with “The Poor Law for a Soldier’s Child”. The Battersea Military Service Tribunals meeting on 28th March was one of several – they met on Thursday, Saturday and Tuesday. The Tribunal seemed to be in reasonably sympathetic form, going by the reports in the South Western Star, but that did not make them any more likely to allow a claim for exemption. The grounds for application for exemption were normally classed by a letter, which would denote which type of application it was i.e workplace or health, but occasionally a longer explanation is added. G H Jarratt of Eversleigh Road applied for exemption as “E & Conscientious” [E was “ill health and infirmity”] – a claim which was disallowed. Unusually, the South Western Star, doesn’t mention him in its coverage of the tribunals, and it also ignores Frank Newnham, whose grounds are “objection to killing”, but it does mention J H Hollowell of Stewarts Road, whose application came under “religious”. James Henry Hollowell was a dispenser’s assistant (described as a “pill maker” with the British Drug House in the 1911 census), and lived with his parents, three siblings and grandmother. According to the report in the Star, he objected to the killing of mankind, but was willing to undertake RAMC or sanitary work. The Tribunal objected to this, saying that a conscientious objection could not be considered if the man was already attested. Hollowell was then praised for being “reasonable”, as he had tried and failed to get in to the RAMC and “didn’t want to trouble you if I could possibly avoid it”. Impressed with this, the Tribunal then promised to recommend him for the RAMC, whilst disallowing his claim for exemption. 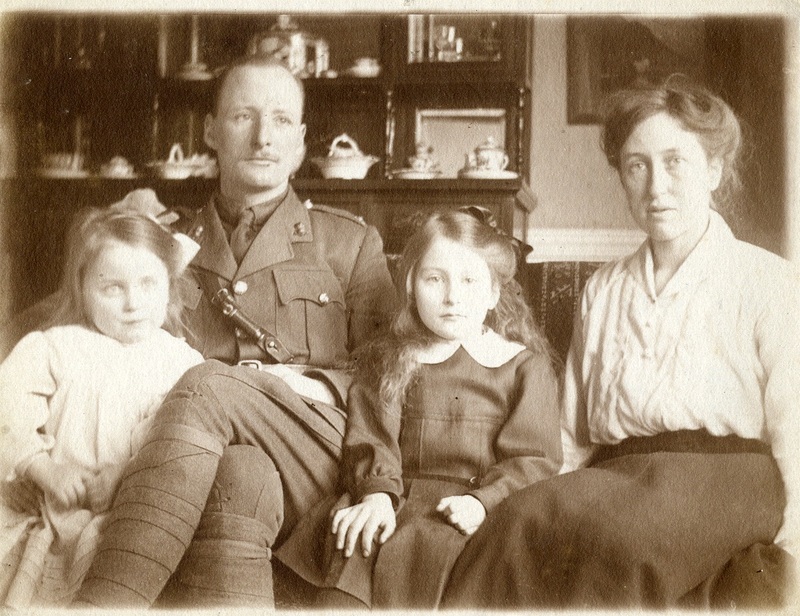 This recommendation did not get him very far, as his army medal card shows that he served in the Rifle Brigade and the Kings Own Royal Rifle Corps – although details of what he was doing are not specified. He survived the war, however, marrying in St George’s Battersea in August 1918 his occupation is described as “soldier”, and he lived to be 71. The coverage of the Tribunal also includes a note that Mr Tennant is “inquiring into the allegation” that one of the military representatives had referred to the Non-Combatant Corps as the “No Courage Corps”. This was not an unusual attitude, as this article explains. It’s not clear who Mr Tennant was, he was not a member of the Tribunal and the newspaper does not give any further information – presumably, everyone at the time knew! More about Military Service Tribunals can be found here. 6 December saw the first meeting of the Battersea Local Tribunal, also known as a Military Service Tribunal. This was just a meeting of the Tribunal members, with no cases to hear as yet, but would act for the next almost three years – deciding whether or not applications to defer or be excused from military service would be permitted or not. The same week, on 1st December, Wandsworth Borough Council agreed a committee to act as the Local Tribunal – after some debate within the Council, it had been agreed that one of the members of the tribunal would be a shop-keeper who would understand the needs of small businesses. The minutes do not record which of the members that was. The Battersea meeting agreed that the Tribunal would be formed of those present, the Mayor [William Moore], W Hammond JP, A Winfield, H G White and W Watts, with a quorum of 3 people – meaning the tribunal could not act unless at least three of them were present. Present at the first meeting was also Lieutenant Gost, who was the recruiting officer for Battersea and was later replaced by a military representative, Captain Briggs, to argue the case for the Armed Forces. Tribunals were set up after the National Registration Act, which was passed in July 1915 – partially to boost recruitment but also as a way of establishing how many men were in each occupation. Certain occupations were exempt from being called upon for military service, as they were deemed of national importance themselves. Following on from Registration, the Group Scheme of recruitment was devised, where men were encouraged to sign up and be placed into a particular group, which would mark when they were to be called up for service. A much more detailed explanation of the scheme can be found here, with links to articles on how to research this further for particular soldiers. After the war, the records of the Military Service tribunals were supposed to be destroyed, with only the Middlesex Appeals Tribunal being kept officially for England, and the Edinburgh and Peebles Tribunals kept for Scotland (see here for more information). Several of the local ones survive however, with both Battersea and Wandsworth having kept their minutes. The Wandsworth minutes are largely just minutes, with the names of the men who came before the tribunal having been kept in a separate register – which has not survived. The Battersea minutes do list the cases heard, and we will be coming back to the registers in future weeks.